Friendly, Quality Auto Repair in Houston, TX Large enough to serve you, small enough to know you! 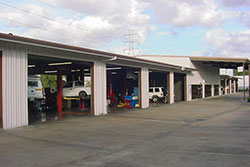 Scott’s Auto Repair is the leading full-service auto repair shop in Houston, TX. And what makes Scott's Auto Repair Houston's choice for automotive services? Since 1986, in addition to providing top quality auto repair and car maintenace in Houston, we ensure that our customers are completely satisfied! We are family owned and operated, and proud to be recognized by the American Automotive Association (AAA) as one of the elite shops in the West Houston area. We are also one of the few AAA-Approved auto repair centers with a 100% approval rating – a testament to the great customer service we strive for each day! At Scott’s Auto Repair, our ASE Certified Technicians utilize state-of-the-art technology and diagnostic equipment to handle auto repair and maintenance services on all makes and models of import and domestic vehicles. From oil changes and brake repairs, to engine replacements and more, our friendly team will have you back on the road in no time. We also offer an industry-leading 3 year/36,000 mile nationwide warranty, financing options, loaner cars, a free local shuttle service and free Wi-Fi Internet in our waiting area! So next time you need auto repair in Houston, TX, don’t hesitate to give us a call, or easily schedule your appointment online. At Scott’s Auto Repair, we’re happy to be your dealership alternative – large enough to serve you, but small enough to know you!